As the cold weather arrives it's time to consider all the interior projects you have thinking about doing. 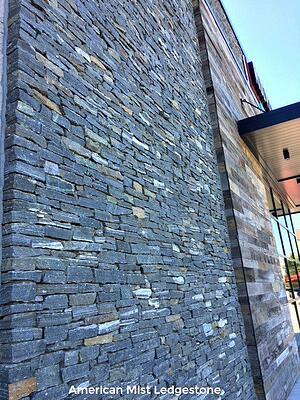 While natural stone is often thought for exterior use there is an increase in stone veneer usage in homes and commercial buildings. 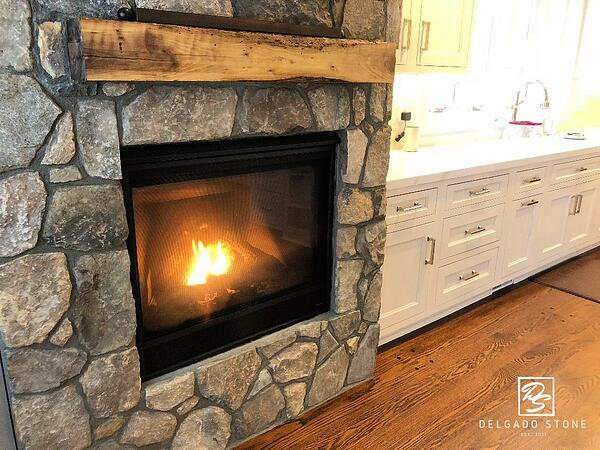 The fireplace is often the centerpiece of any gathering you host at your home. If it's during the warmer months your friends and family might gather around the fireplace or firepit in your backyard for a reunion or celebration. 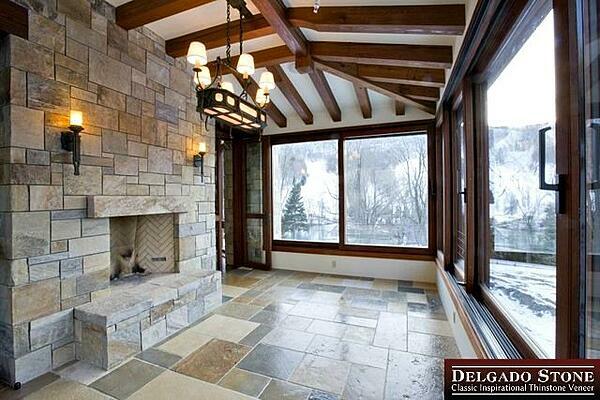 During the holiday season it's usually the interior fireplace that is the center of attention. An interior makeover in a rustic style can be a truly evocative decision for any homeowner. Not only will it satisfy some of the most primal yearnings of guests and residents — desires of comfort, protection, and security — but it can also be a pleasant emotional journey for the decorator too. Before looking at fabric swatches or pulling out books of paint samples, consider the following tips to nail the perfect style. One of the greatest pleasures we have in the building materials industry is to see how our products are used from start to finish. We recently received pictures from Leslie Gustafson & Co., an Interior Design Firm in New York, of a veneer stone fireplace project. A common misconception when working with real stone veneer is that people use it for exterior applications only. 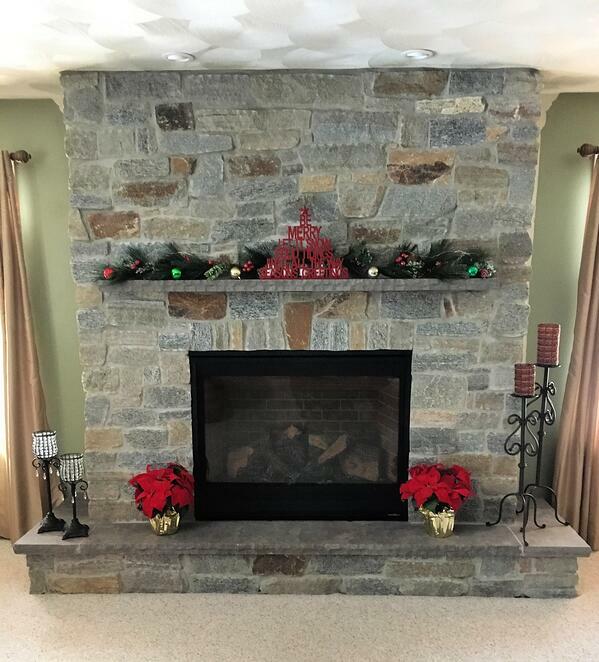 While stone veneer is an excellent product for external use it is also very common for interior fireplaces, walls, and other decorative applications.